If you still dream in diesel and are in the market for an executive sedan with lots of torque and great fuel economy, we have some good news. Unlike some other Bavarian automakers, BMW seems to be keeping the diesel option alive in America with the upcoming 540d xDrive. According to The Car Connection, BMW will be adding another engine variant to all new 5 Series family. TCC got word from a BMW spokesperson who confirmed that the diesel-powered 540d xDrive should be arriving at the dealerships next month. This has yet to be confirmed by BMW externally. BMW has not yet confirmed official specs for the 540d xDrive but it did indicate that the car is based on the 530d sold in other markets. That car uses a turbocharged 3.0-liter inline six that makes 265 horsepower and 457 lb-ft of torque and is mated to an eight-speed automatic transmission. Whatever this car ends up with, a lot of torque is on the menu. 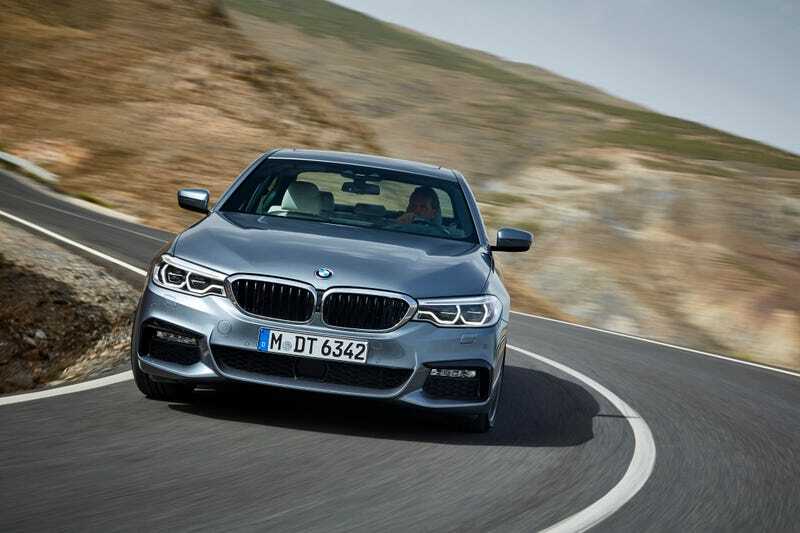 As of now, you can have your 5 Series sedan with your choice of turbocharged four, six, or eight cylinder engines or a plug-in electric hybrid version. The diesel inline six will be a welcome addition. TTC reports the new car will have a starting price of $62,995, which would make it just slightly more expensive than the gas powered, six-cylinder 540i xDrive. However, the EPA has rated the 540d at 26 MPG city, 36 highway and 30 combined which should make up for the premium over the gas car. For folks looking for maximum efficiency at minimal cost the 530e iPerformance is the way to go, as that car starts at about $55,000. It’s rated at 29 MPG combined and can run on its electric motors alone for up to 16 miles. But diesel buyers aren’t usually known to just focus on fuel efficiency, one of the main benefits to a diesel motor is the ability to balance your MPG with passing power due to the high torque figures. In addition to the 540d xDrive, BMW will also offer the 328d and X5d for diesel die-hards. It may not last forever, and maybe it shouldn’t, but for now oil-burners are sticking around the U.S.